BOOK OUR HALL OR LOUNGE. For a reasonable price, our Church Hall and our smaller room can be hired - for family parties, council interviews, small seminars and meetings. On Saturdays we are not accepting bookings before 2 pm. The Deposit is 30 percent of the full price, the full amount is to be paid before the event. 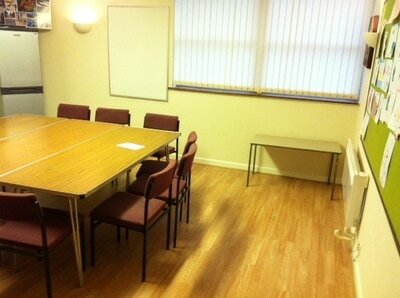 Rental for charities only, our Lounge is perfectly suitable to accommodate small-group meetings (6-12). 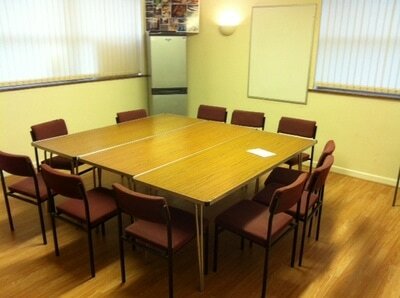 External organisations / individuals using church premises, they are to abide by the PCC’s safeguarding policy. The PCC policy statement (see below and hardcopy at the hallway of the church) forms part of the hire agreement. Hirers, by signing the copy or electronically acknowledging the e-mail correspondence containing the hiring agreement, they accept the Safeguarding Policy of our Parish and the Policy of the Diocese of London., even when an organisation have their own, they acknowledge that this has been seen and will be adhered to and that all concern about children, young people and vulnerable adults will be reported to the relevant statutory authority. If an organisation has their own policy, a copy of this should be requested and filed with the hire agreement.